While it may not be a typical milestone talked about by most experts, we've hit a milestone in our house. We recently said goodbye to deconstructed tacos. As steps go, this is a pretty big one for you. Taco night has always been a pretty safe night in our house. It's a night where we all sit down to eat the same meal, without having to worry about you complaining about the food we put on your plate. While you basically eat the same the same thing as Daddy & I do, you eat it in a much different way. We have had to put your plain ground turkey, shredded cheese, rice, avocado, black beans, & olives in distinct & separate piles on your plate in order for you to eat them. That all changed recently. Daddy & I were eating regular tacos, & you noticed the taco shell. "Can I have some chips," you asked. You love chips. 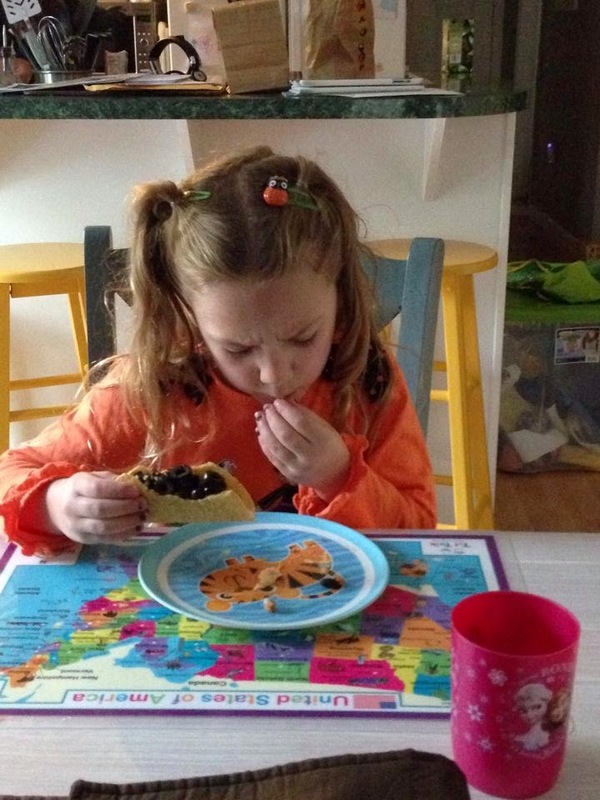 Daddy explained to you how yummy tacos can be when you put the ingredients inside the "chips." You tried it & loved it! 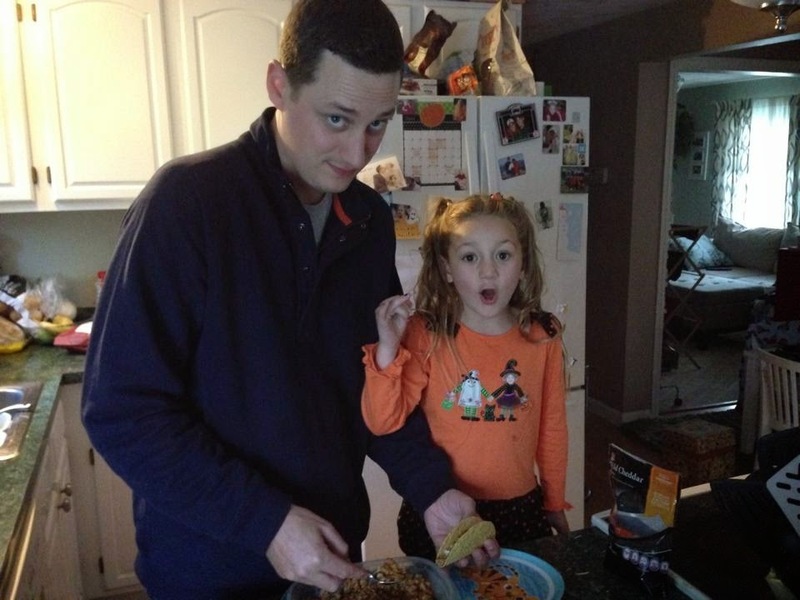 Now you get a kick out of building your taco with Daddy & I. You are very slow & precise. Everything has to go in your shell in a particular order, & you are heavy on the olives. We're hoping that as time goes on, we'll be able to slip some veggies (lettuce & tomato) into your shell as well. 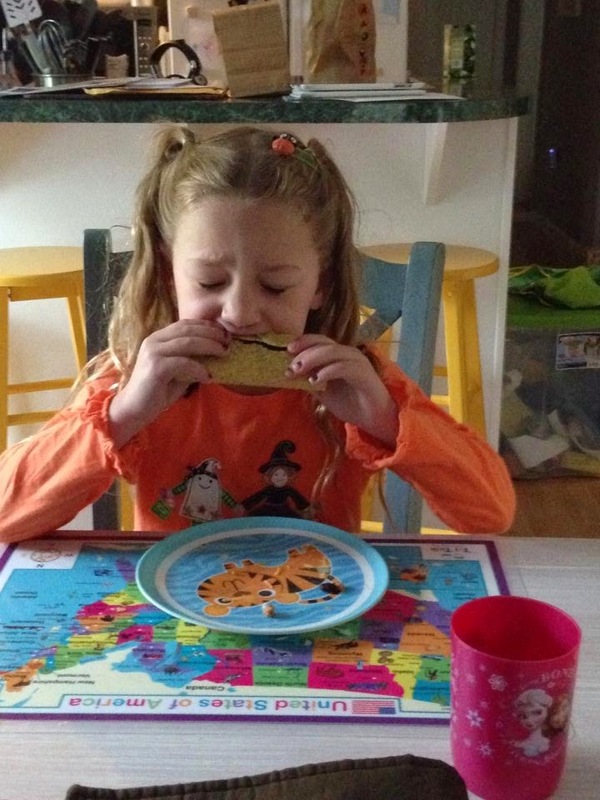 For now, we're just happy that after almost 5 years, you can eat a taco like a taco.